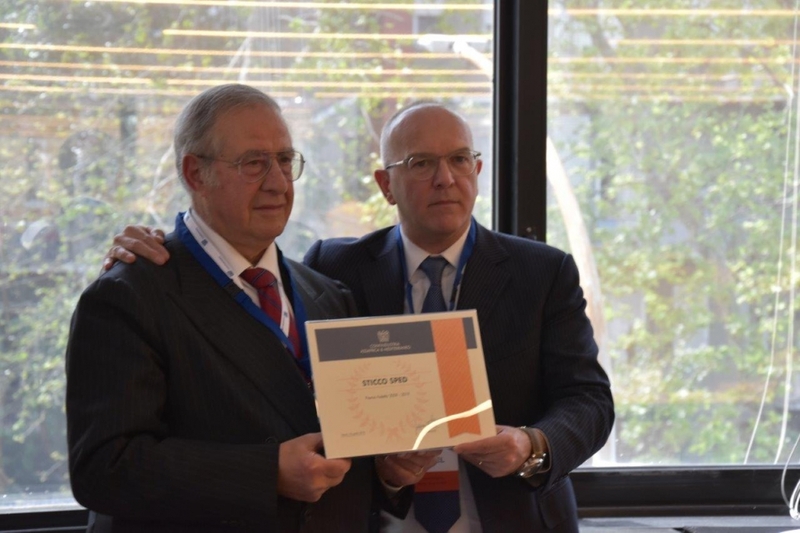 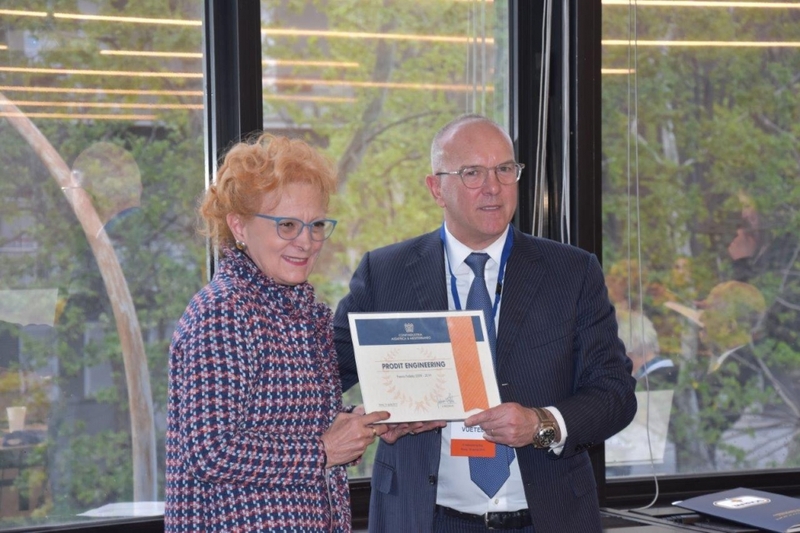 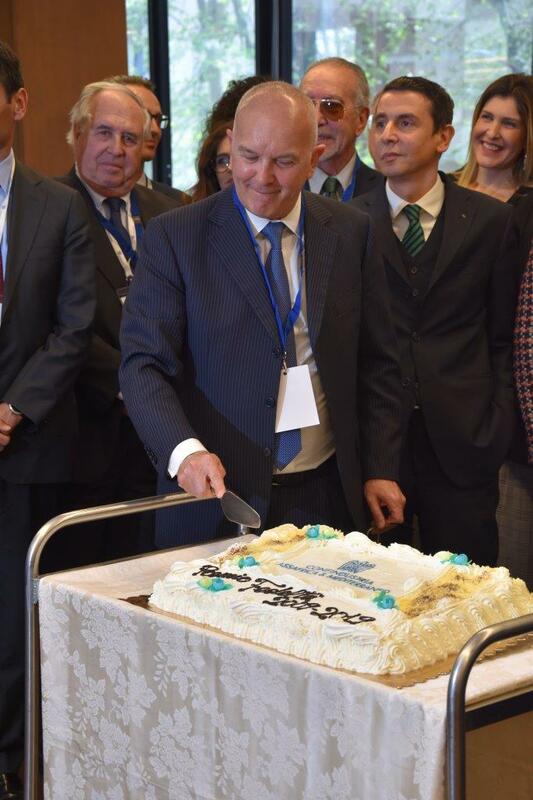 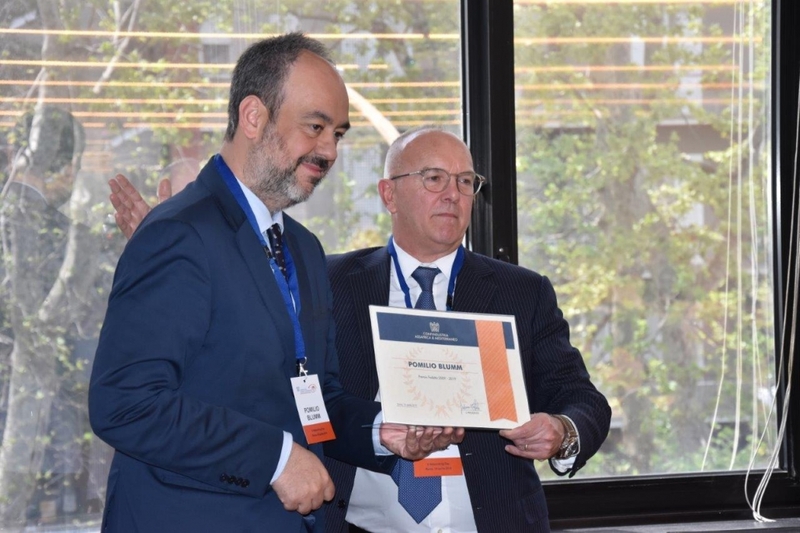 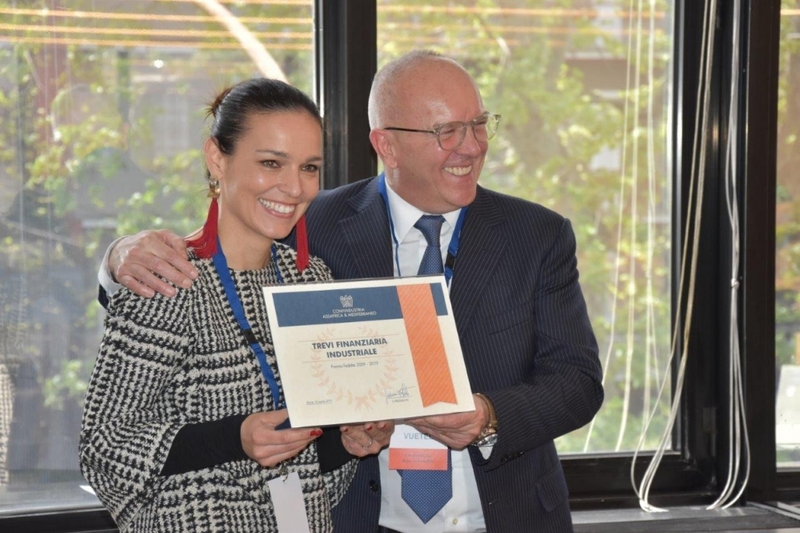 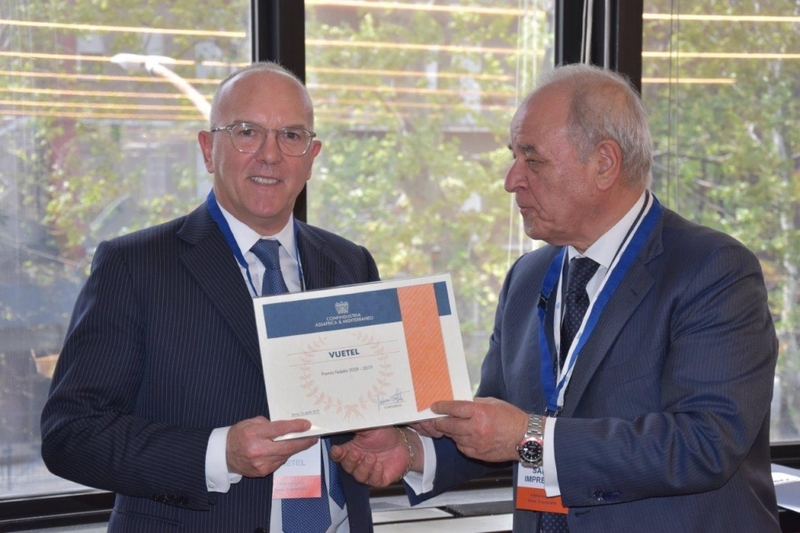 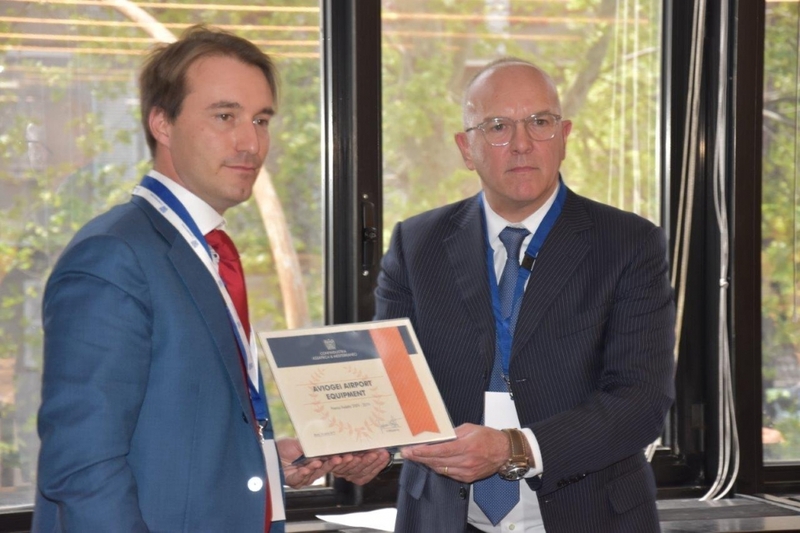 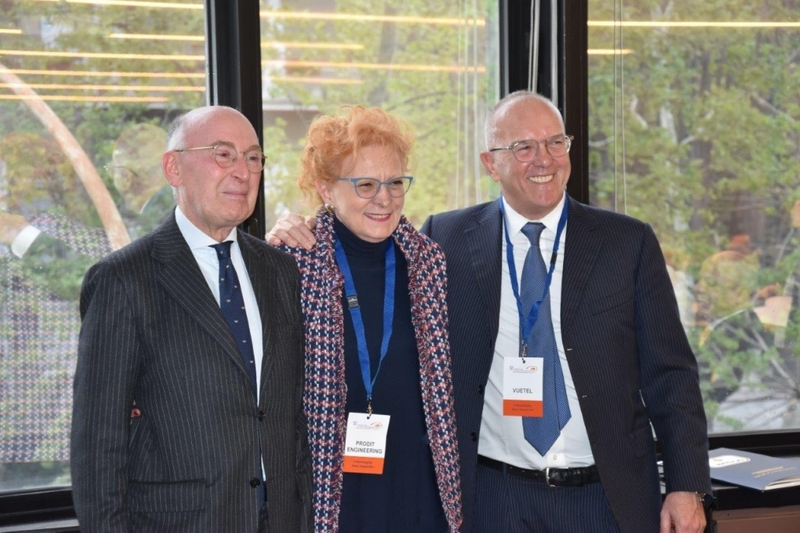 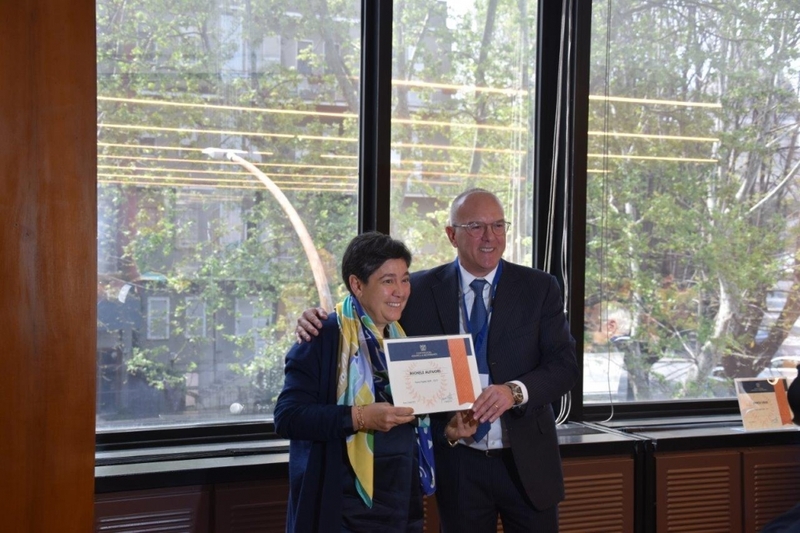 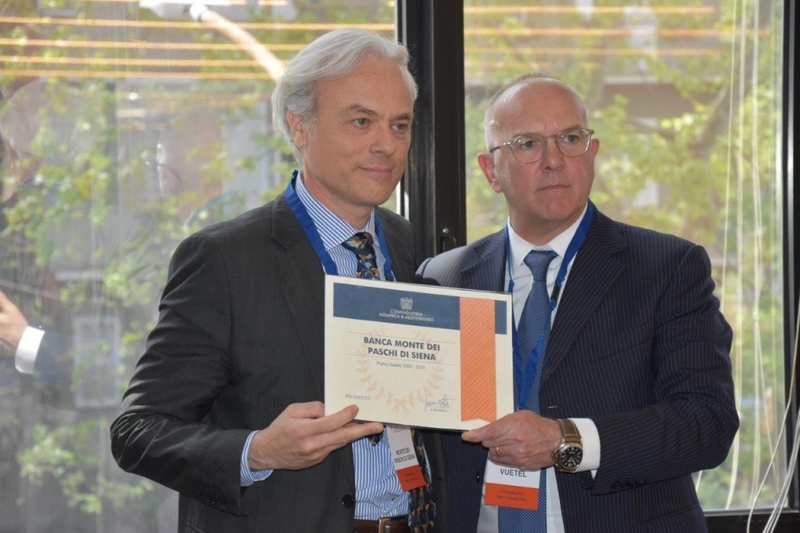 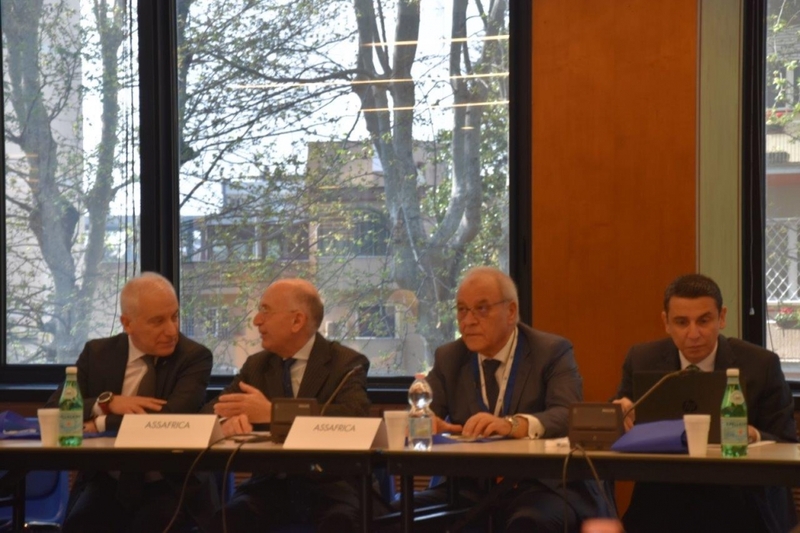 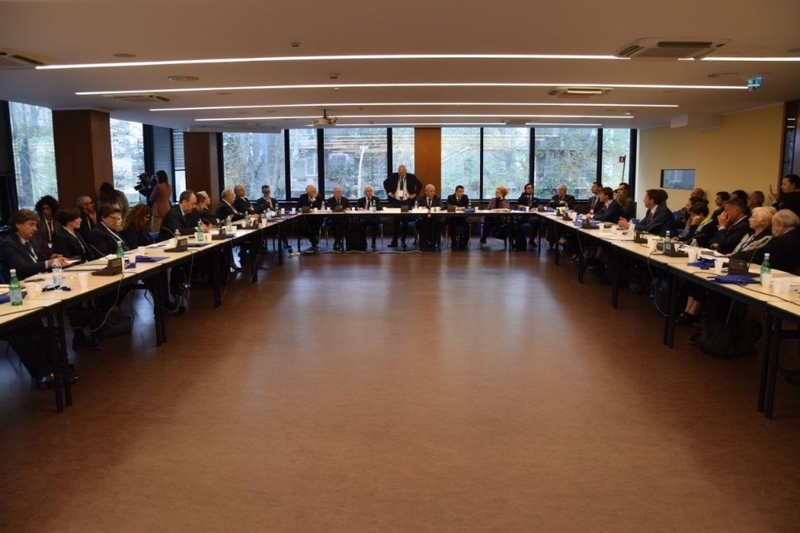 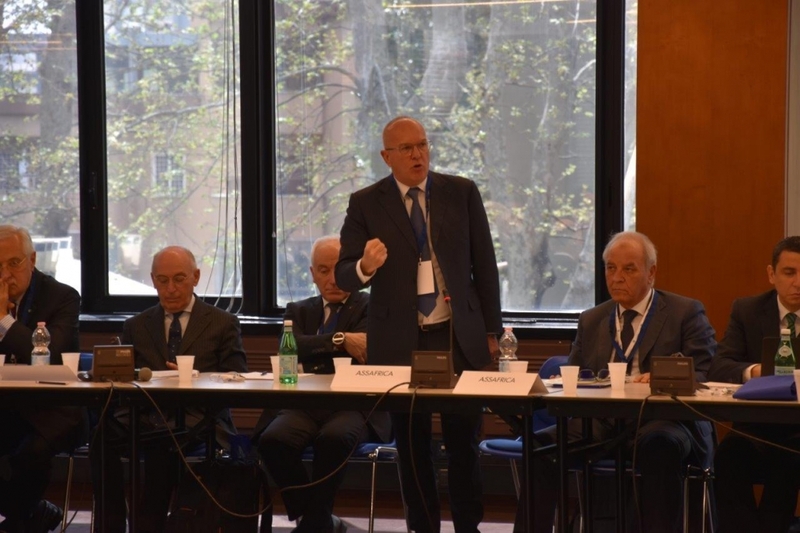 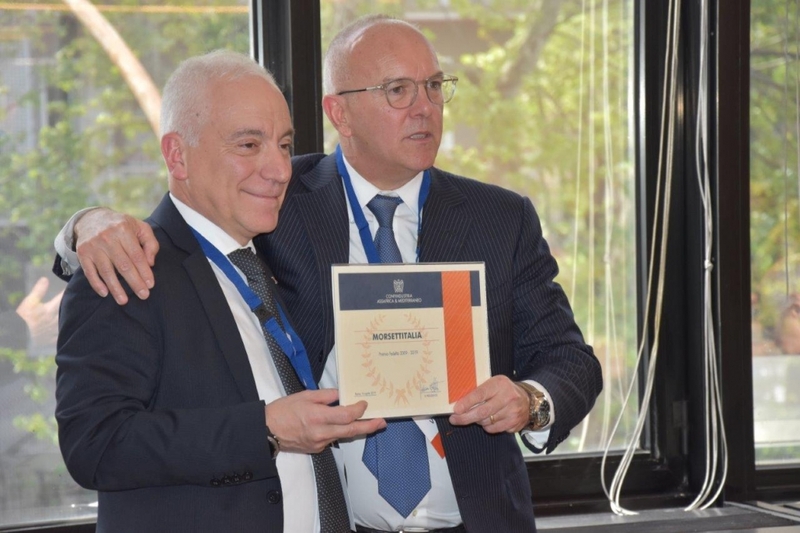 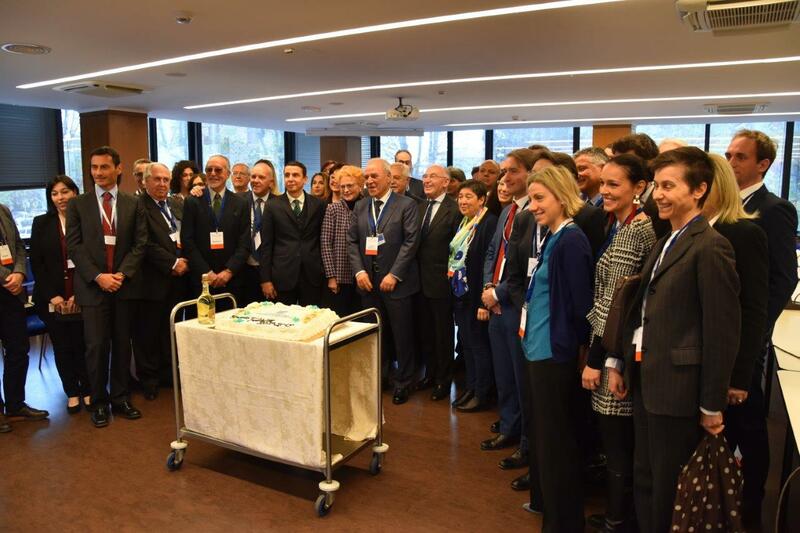 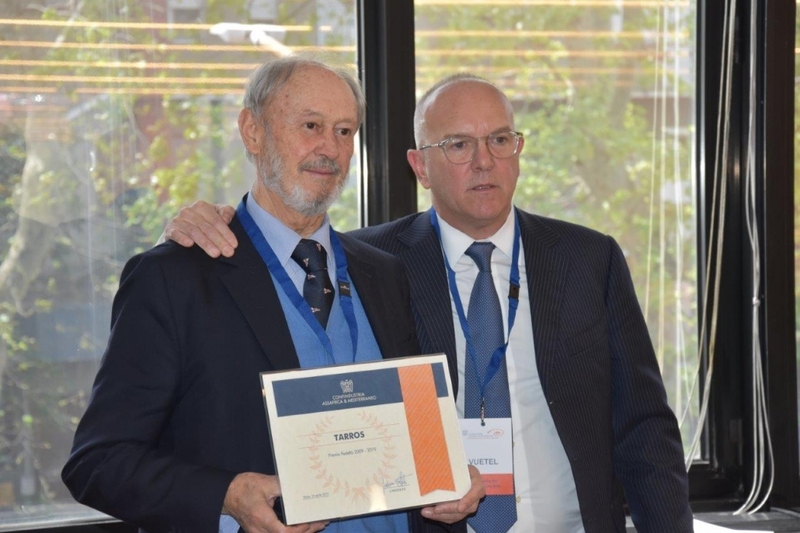 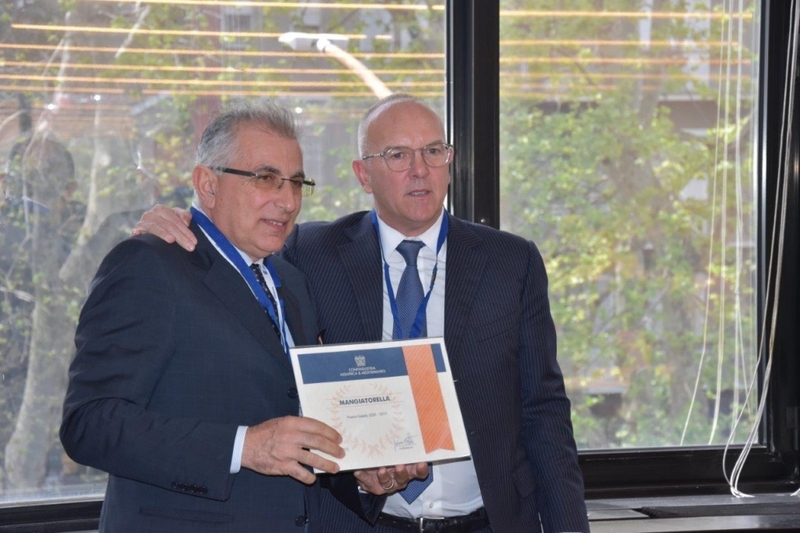 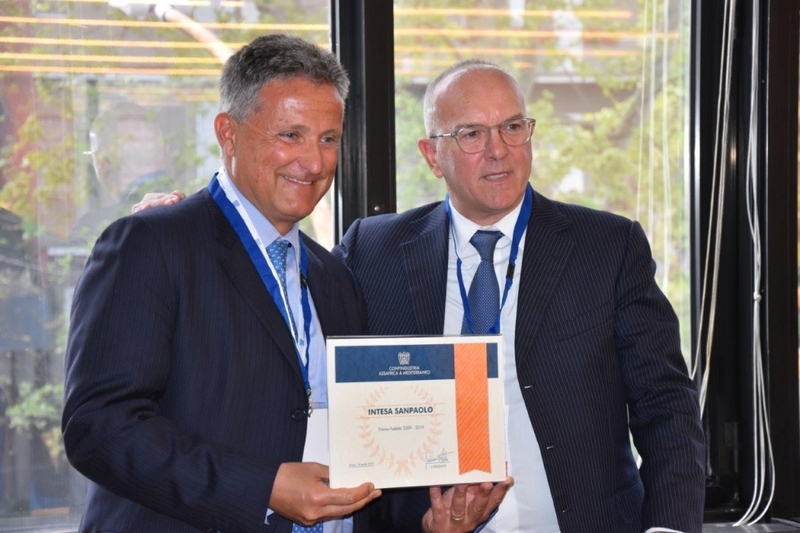 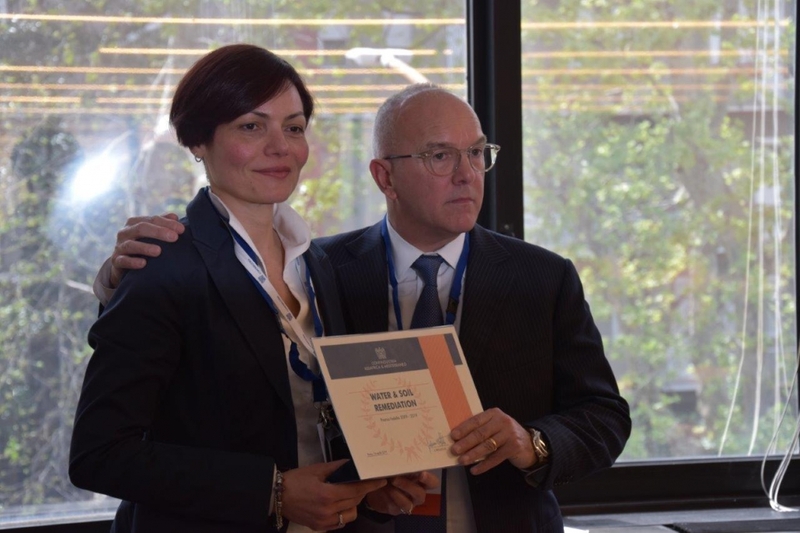 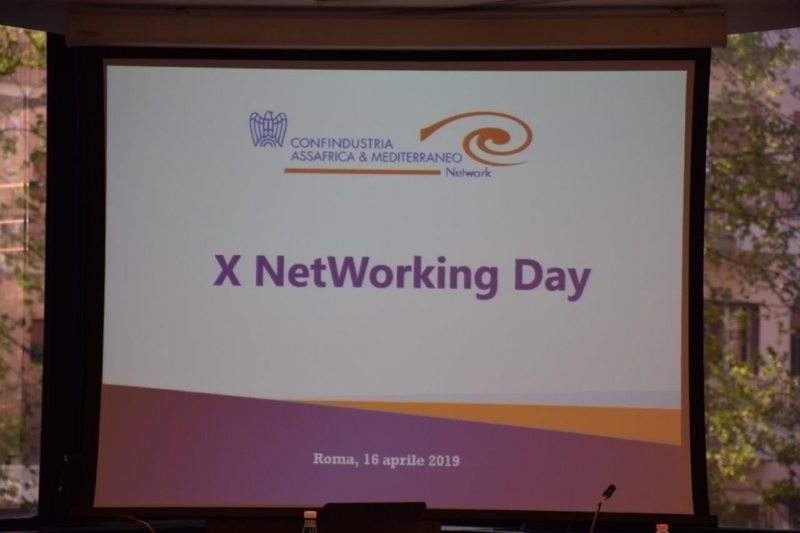 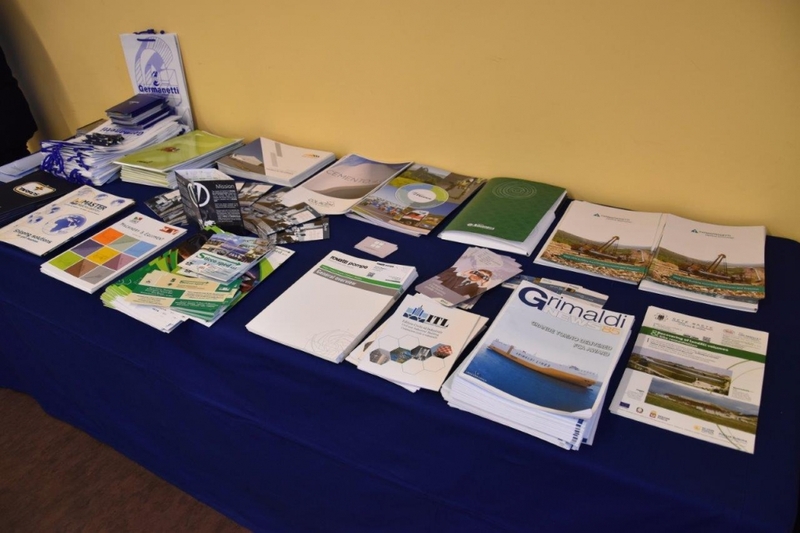 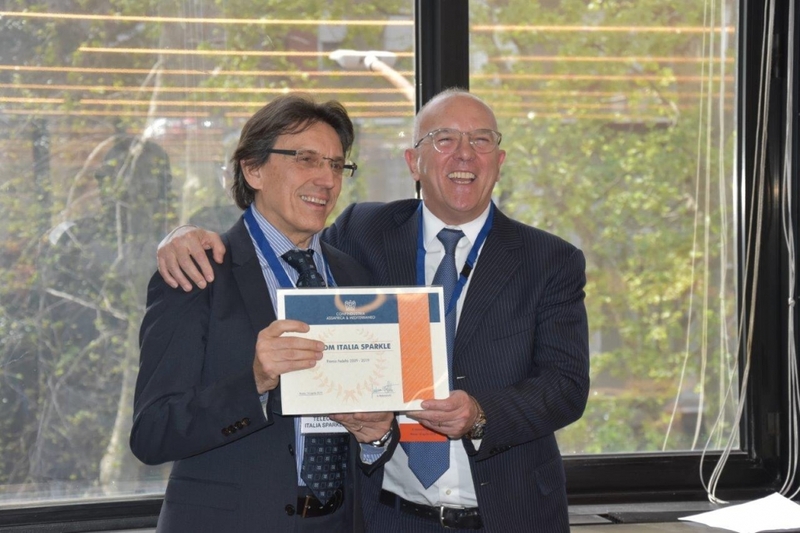 Confindustria Assafrica & Mediterraneo Networking Day celebrates 10 years and awards loyalty prizes for the decade 2009-2019. 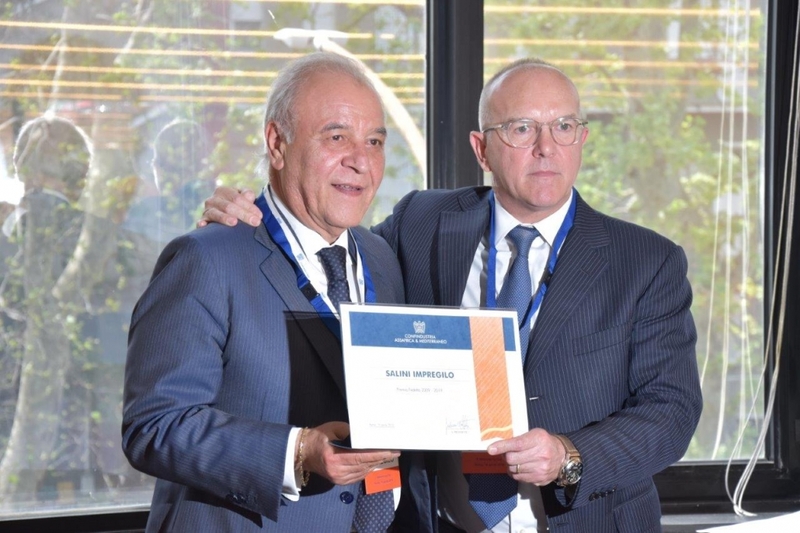 The Loyalty Award that was given to companies during this Tenth Networking Day is intended to emphasize the importance of a bond that from 2009 to 2019 created value by joining the Confindustria System Association which operates in the three geographical macro-areas of Africa, the Mediterranean and the Middle East, also accompanying its organizational transformation. 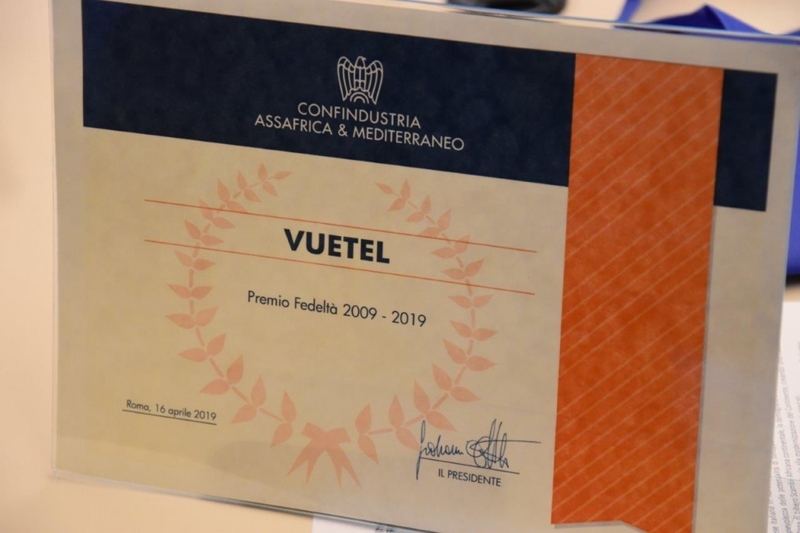 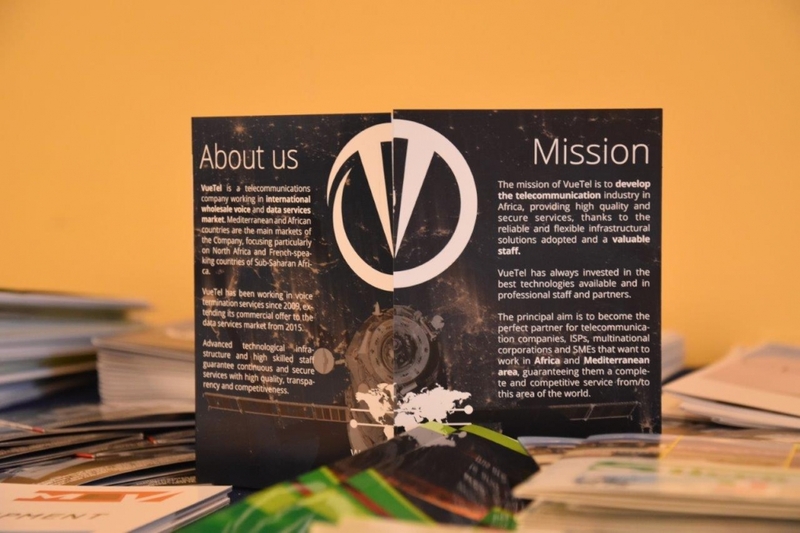 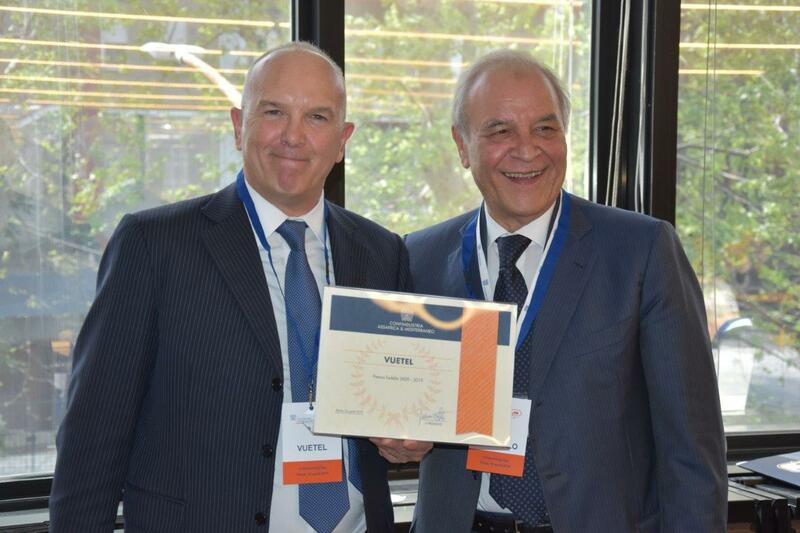 The President of Assafrica & Mediterraneo Giovanni Ottati delivered the awards, then also among the winners as administrator of Vuetel. 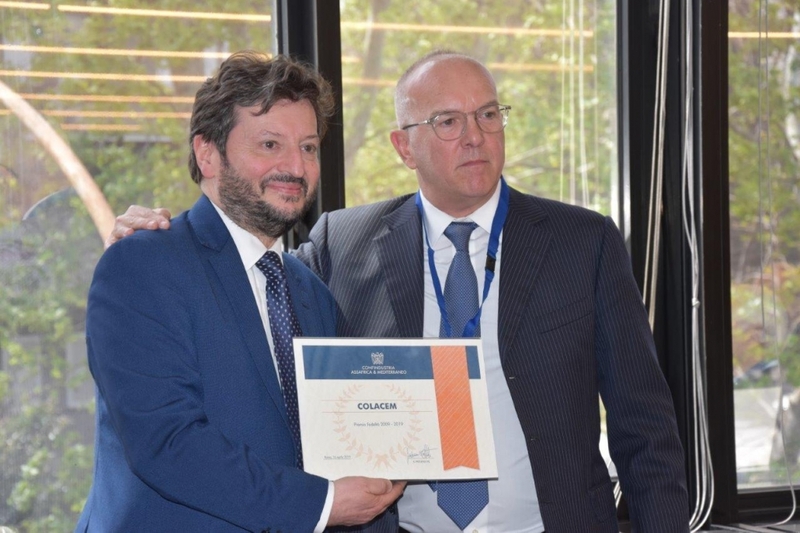 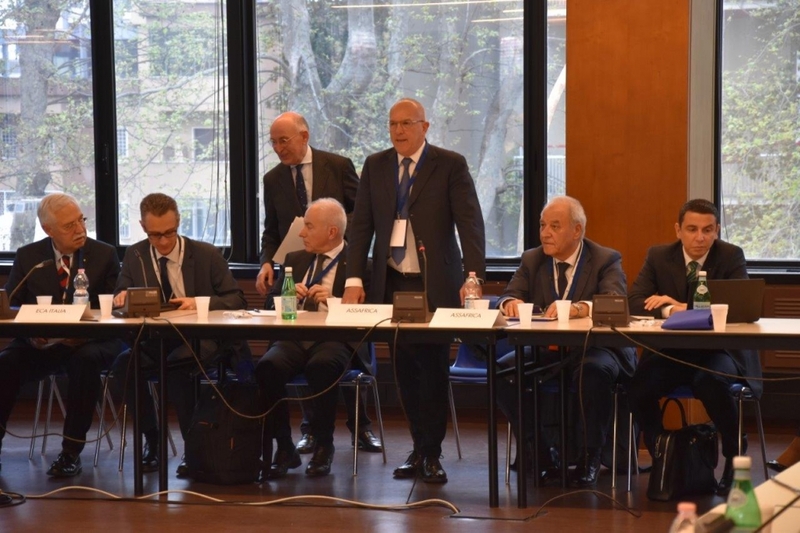 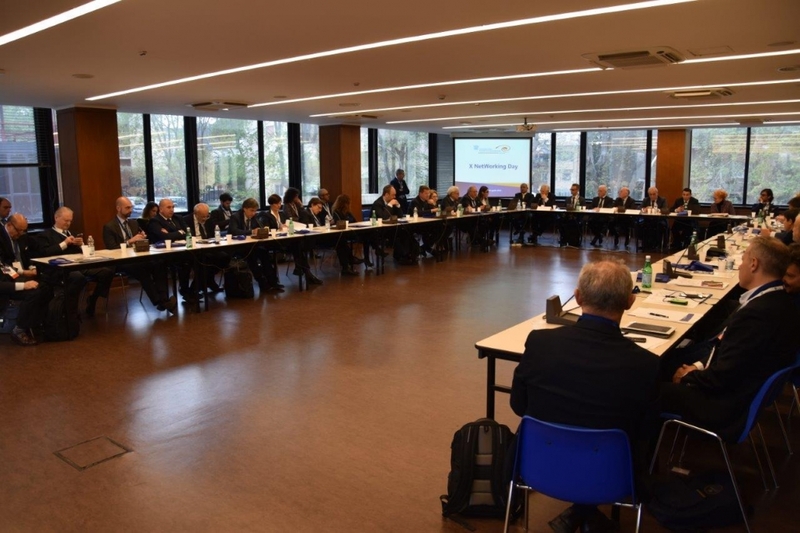 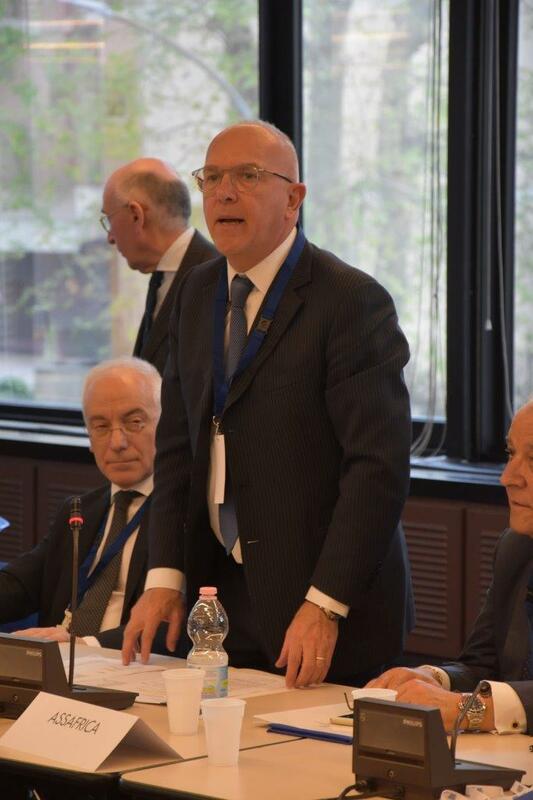 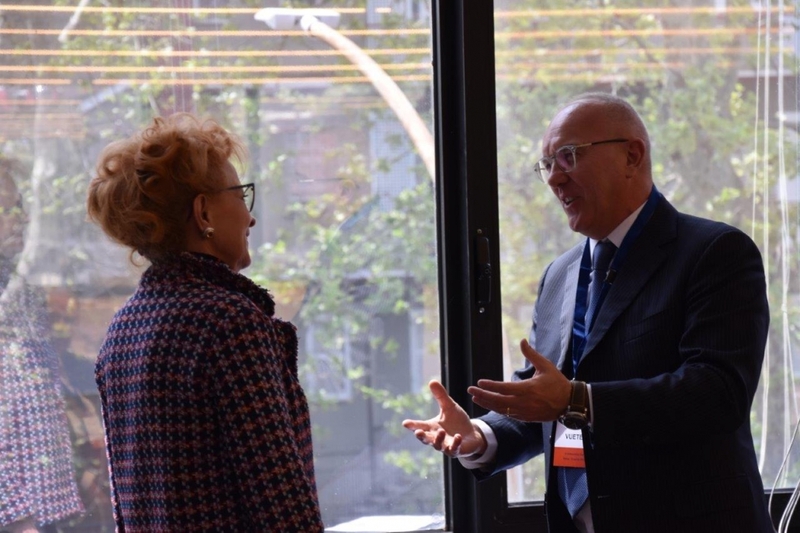 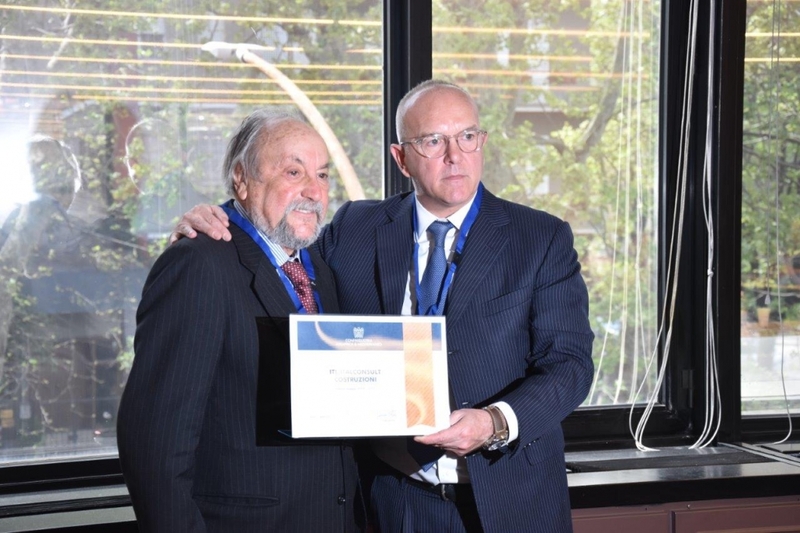 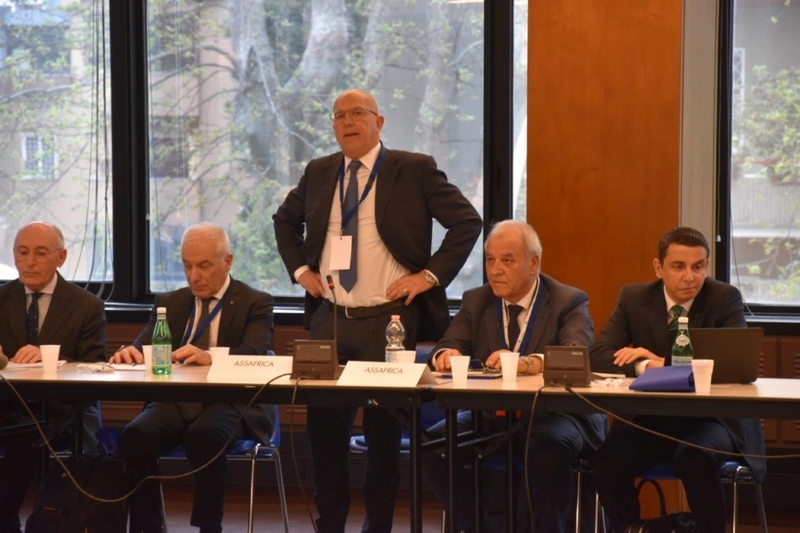 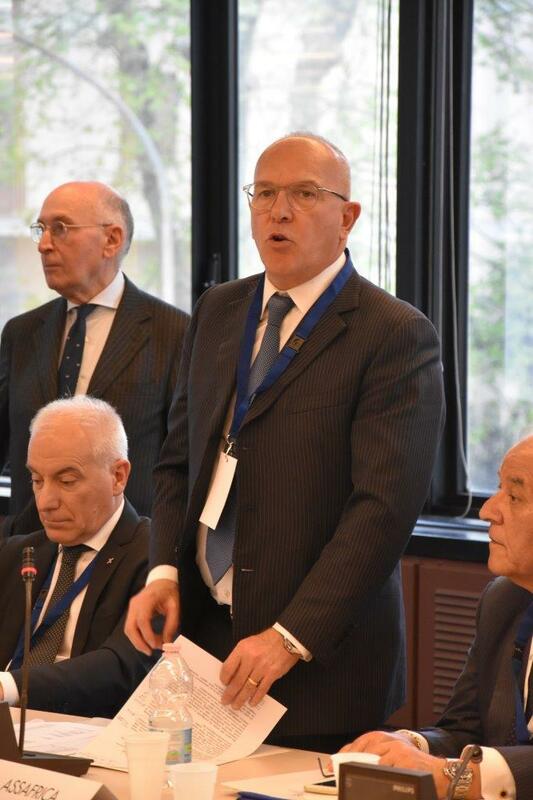 On the sidelines of the awarding ceremony, the thanks of those present to the President Giovanni Ottati followed, with the best wishes to maintain solid ties within this association, so important for the Italian industry.